I am studying the potential of technology to improve women’s healthcare as part of my Masters’ thesis at The Fletcher School, Tufts University, and I am supported by the Institute for Global Leadership in this endeavor. My summer has been dedicated to researching whether a technological solution, specifically an e-commerce platform, can effectively bridge the inefficiencies in the Indian marketplace for menstrual health products. I have developed this research interest based on my own experiences with menstrual hygiene management in India. Growing up in India, access to products for menstrual cycles are difficult to come by, can restrict activities, and were often made of irritating materials. The inconveniences faced by Indian girls and women who menstruate became especially striking to me when I taught at an all-girls public school in Delhi as a part of my fellowship with Teach for India (similar to Teach for America). I saw my students tackle difficulties on several fronts: the school had unclean toilets with running water only sporadically available and many of my students didn’t know how to use the sanitary napkins distributed to them through municipal government programs. Used napkins would often be discarded in open garbage dumps near their houses, where they attracted vermin and stray dogs. These experiences inspired me to research solutions that not only deliver a wider array of menstrual products to Indians, but also give them accurate information on product features such as: ease of usage, suitability of product, suitability of materials, monetary cost, environmental cost, and disposability. To this end, my research over the summer has consisted of two parts. 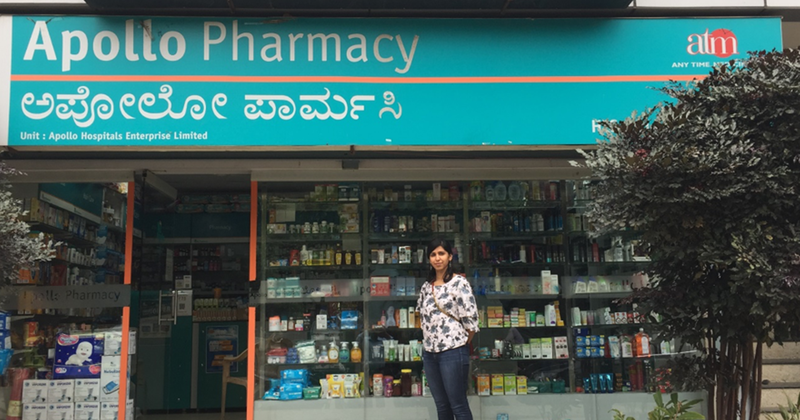 First, I have been conducting a needs-analysis survey in Bangalore, a metropolitan area in South India, to understand where the gaps in the local menstrual health marketplace are. The survey asks respondents to evaluate their current experiences with accessing and using menstrual health products, with an emphasis on their priorities while purchasing products. It also asks respondents if and how the use of technology could bolster their menstrual health management. While the survey is ongoing, a few insights from preliminary analysis are: more than 80 percent of respondents were concerned with their environmental footprint. Consequently, the demand for menstrual cups in Bangalore is on the rise. Additionally, many of the respondents would like to buy menstrual health products online, but typically need products more urgently than present delivery times allow. The second part of my research involves interviewing leaders of non-profit, commercial and governmental organizations in different Indian cities to understand what they perceive as gaps in the Indian market, and where they think technology can be leveraged to bridge these gaps. These have led to some very educational conversations for me. For instance, Manish Malani, co-owner of Asia’s first menstrual cup brand SheCup, spoke about the importance of educating men about menstrual health products. In his experience, the person purchasing menstrual health products is usually a man, as is the shopkeeper. Educating men on menstrual health products, possibly through the aid of technology, can make them more discerning and lead to better health outcomes for women. Malini Parmar, co-owner of the sustainable menstruation brand StoneSoup, spoke about empowering women to use menstrual cups using the popular messaging application Whatsapp--volunteers crowdsource real-time advice for new menstrual cup users. When women become comfortable with using menstrual cups, they are encouraged to leave the group, so that new members can be added on a referral basis. These examples have shown me that there is opportunity for the menstrual hygiene market to be substantially impacted by technological interventions. Through the course of my research, I hope to document evidence and formulate recommendations that can be adopted by organizations in the menstrual health space, and influence policy related to women’s health.